The other day, Annie barked for me frantically to come to the door immediately. She barked "Look! 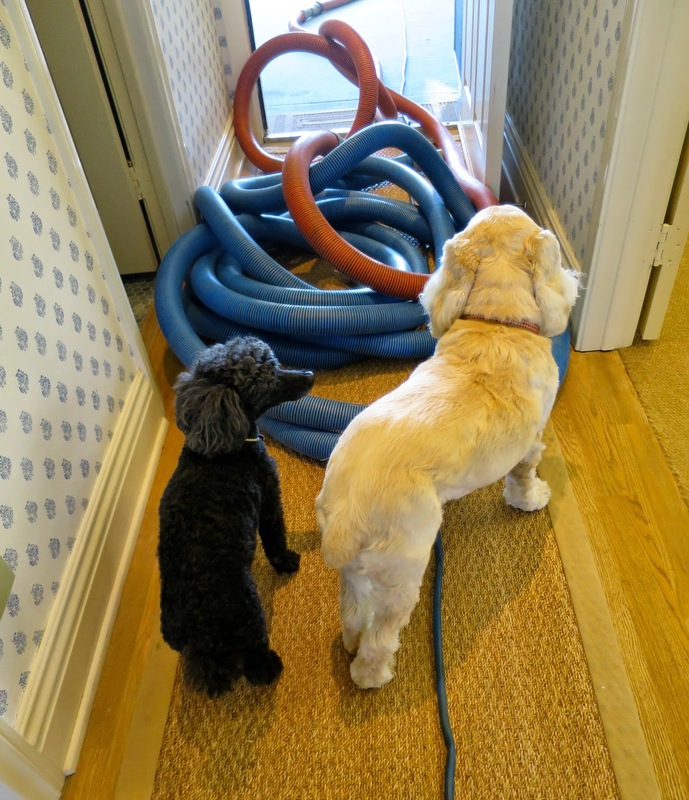 Giant snakes are attacking our house!" I refrained from giggling and explained that they are to help get the carpet cleaned. She thanked me and barked that she felt better knowing they were good snakes. At which point I executed the perfect eye roll. What is the pizza for?